Underi became a news sensation when it was sold on May 16, 2006 by State government to Ramesh Kundanmal of Dolphin Stone Crest Estate Pvt Ltd at Rs 2 crore. Later, due to media pressure and consistent protest from trekking community, the deed was cancelled. 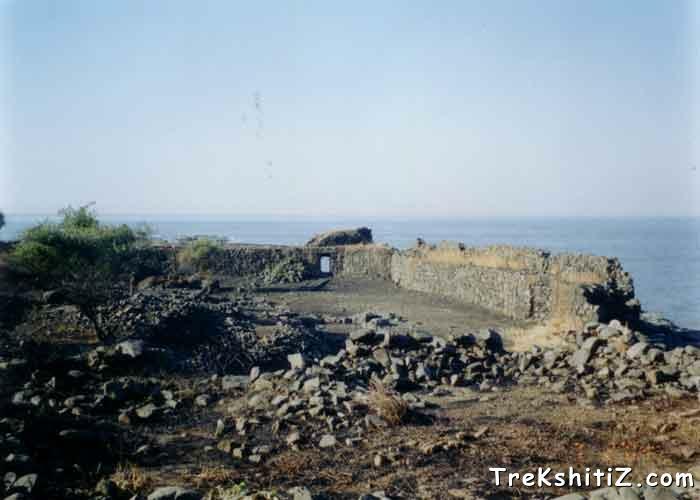 On 9th January 1680, Siddi started building fortification on Underi Island. The Marathas attacked on the dawn of 27th January, but did not succeed. During Sambhaji�s reign, the Marathas attempted another attack on 18th August 1680. However, Siddi was ready for this and 80 Marathas were killed, including Maynak Bhandari�s son. Yet another attempt happened on 18th July 1681 which caused a great damage to Siddi, but the fort was not won. On 28th January Naro Trimbak captured the fort and named it as Jaidurg. In 1818, the fort went to the British, who gave its ownership to Angre dynasty in 1824. When Angres surrendered to British in 1840, the fort came under British control again.